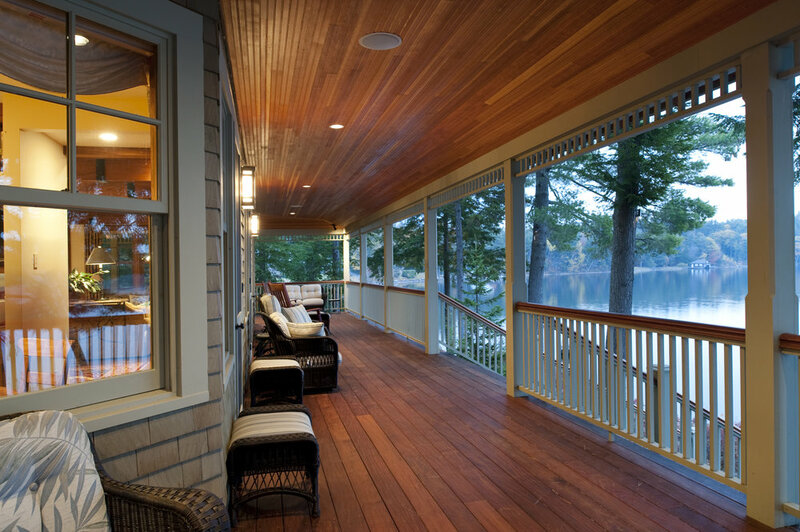 The new traditional style lake house in this slideshow exhibit features such as sweeping stairways to the water, arched entryways and plenty of glass to capture the water views. 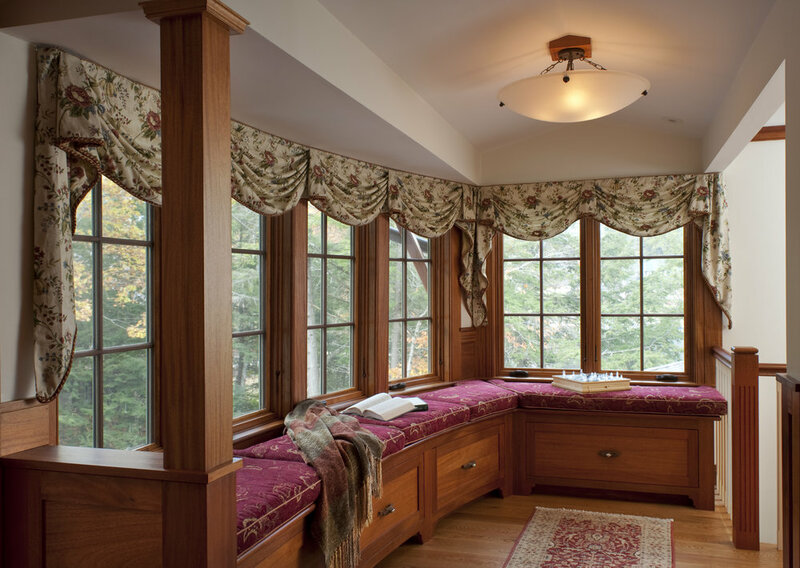 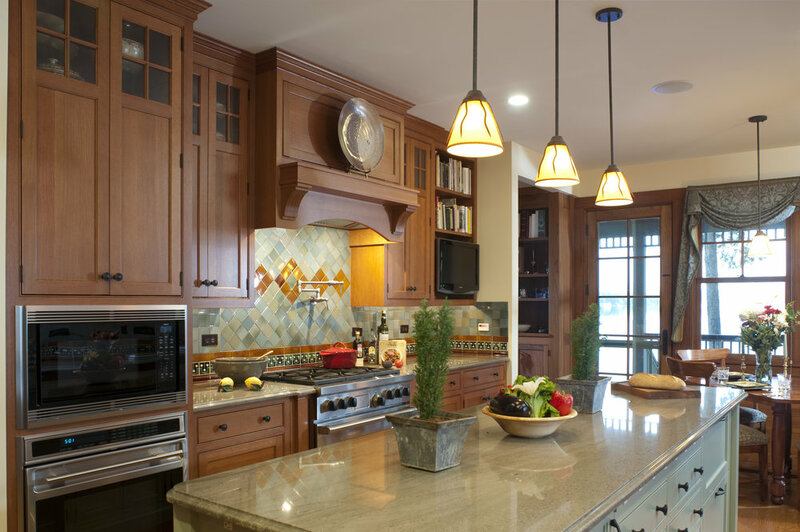 Custom millwork is found throughout the home with paneled ceiling beams, cherry cabinets in the kitchen, built-in cherry bookshelves and cabinets, as well as window seats and paneled garage doors. 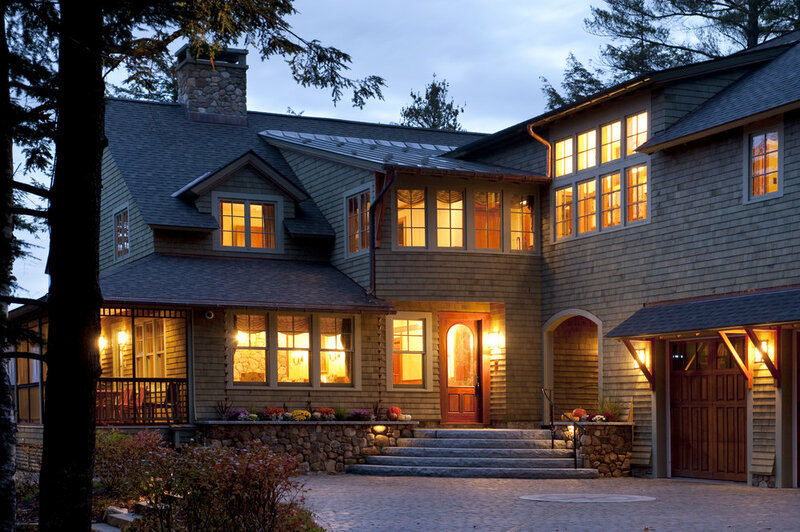 Great care was taken with the siteing of this home to maximize the lake views while maintaining privacy.